Outsourced Marketing Ltd - Case studies of website design, maintenance and internet advertising consultancy. Based in Chichester, West Sussex. Scope of Project: Maintenance of site. Creation of new content. Search engine optimisation. Update website following name change. 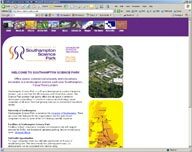 Scope of Project: Develop a comprehensive and easy-to-use website for Chichester Chamber. 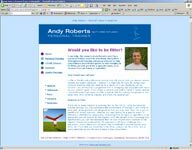 Scope of Project: To create a bright and approachable website to attract clients to a new personal trainer in Hampshire. Scope of Project: To create a website designed to integrate well with existing marketing materials. Scope of Project: To re-design an existing website. Scope of Project: Design of website to promote hire of Chocolate Fountains in the south. Scope of Project: Improve search engine positions. Re-vamp home page, update with seasonal bouquets. Internet advertising. Scope of Project: To update the website on a regular basis and develop an effective internet advertising campaign.